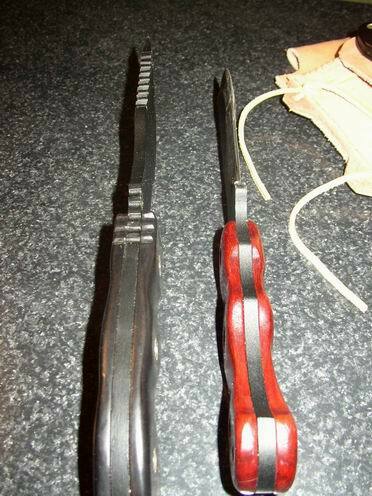 Tracker Student Kfir Mendel makes wooden handles for the Tracker Knife. Here are some samples. Please note, due to the lighting in the pictures, the handles appear to be much lighter in color than they truly are. For info on the Tracker Knife CLICK HERE. 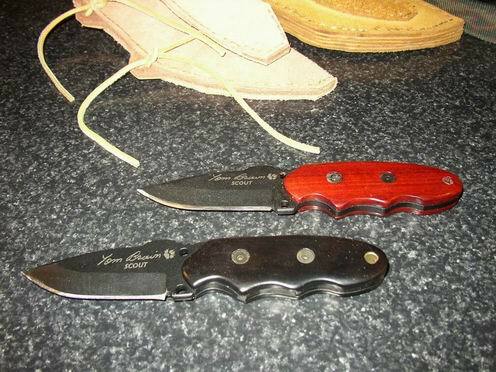 Tracker knives with hand-made handles. Top & bottom views of handles. The one on the right has more contour and deeper finger grooves (more like the TOPS handles) than the one on the left. You can specify any degree of it that you want. 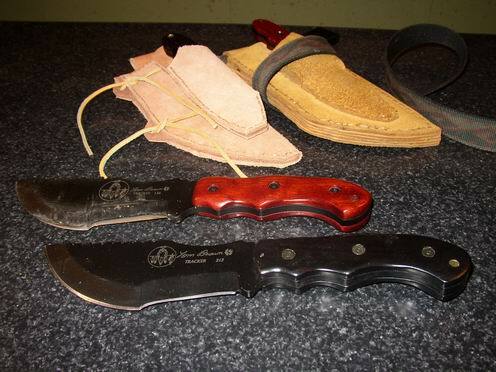 Scout knives with hand-made handles. These can be made as flat or as contoured as you want them to be, with or without the grooves on the top.